Regular exercise is a healthy habit. 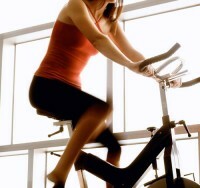 But more than that, it takes proper exercise in order to reap the benefits that it provides. But unfortunately, there are some exercise myths out there so common that most people tend to believe them as fact. Here are some of the common exercise myths that people should be aware about. People who are serious about exercise usually have that goal of having that sixpack abs. Most tend to believe that doing all those crunches that focus on the abdominal muscles would be able to achieve that. But that is not necessarily true. Doing regular crunches alone won’t lead to having those sixpack abs. you also have to consider trying to lose those abdominal fats that might hide away those abdominal muscles. Sure the crunches would have developed those muscles, but it is not the most effective way of burning those abdominal fats away. In order to give more definition to those well-developed abdominal muscles as a result of doing regular crunches, burning the fat off through dieting, doing cardio exercises as well as resistance training is also necessary. Putting ice on a sore muscle after exercise certainly does feel good. In fact, most people usually do that to relieve muscle pain. But if you think that applying ice on a muscle will help you get rid of the pain safely, then you might be mistaken. According to some studies, applying ice on sore muscles only numbs it enough for people to feel better. But icing does not help heal those muscle tears and would even reduce muscle strength temporarily. This is especially harmful for those who put ice to get some muscle pain relief and will then have to go back into action afterwards. This may be a likely cause of injury. A very common adage attributed to exercise that many people regard as true. The pain that people feel during exercise is considered that the exercise is effective routine and will lead to good results. But for the most part, the pain you might feel during exercise may either be one that is caused by improper technique or it might already be a muscle injury that can be further aggravated. When you start to feel some persistent pain during an exercise, you might need to stop and have it checked by your doctor in order to avoid further injury to yourself. This entry was posted on Wednesday, January 25th, 2012 at 2:25 pm	and is filed under Exercises. You can follow any responses to this entry through the RSS 2.0 feed. Both comments and pings are currently closed.